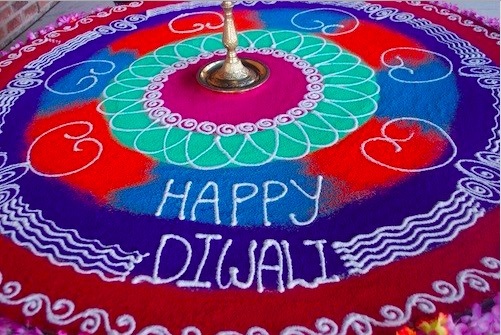 Diwali is one of the biggest and the most celebrated festivals in India. People of every religion adore this renowned fiesta in their own conventional ways. 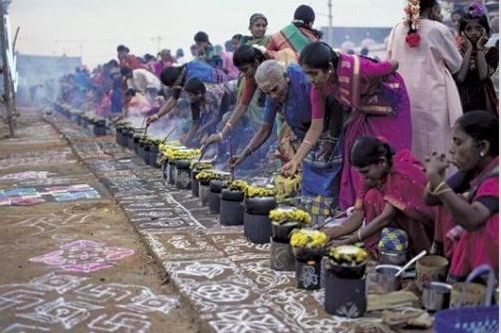 Some enjoy the festivity visiting a sacred place and others believe in the traditional celebration with long-established rituals. 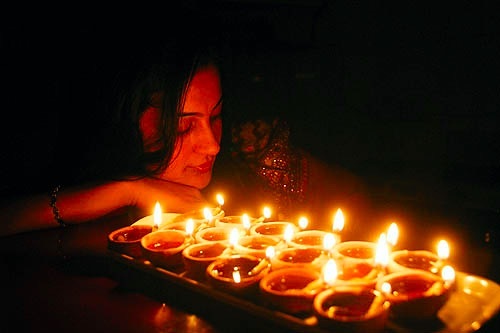 Despite that, everybody is well-known and acquainted with the basic traditions and customs to be followed on the six days of Diwali which include-shopping , cleaning homes, decoration with glittering lights, bursting firecrackers, lighting earthen lamps, preparing delicious dishes, making rangolis and last but not the least offering prayers to the deities. 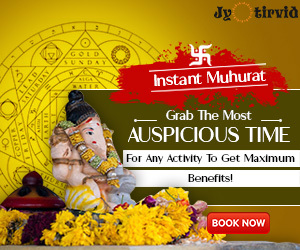 But, are you familiar with some strange yet unique rituals of Diwali? 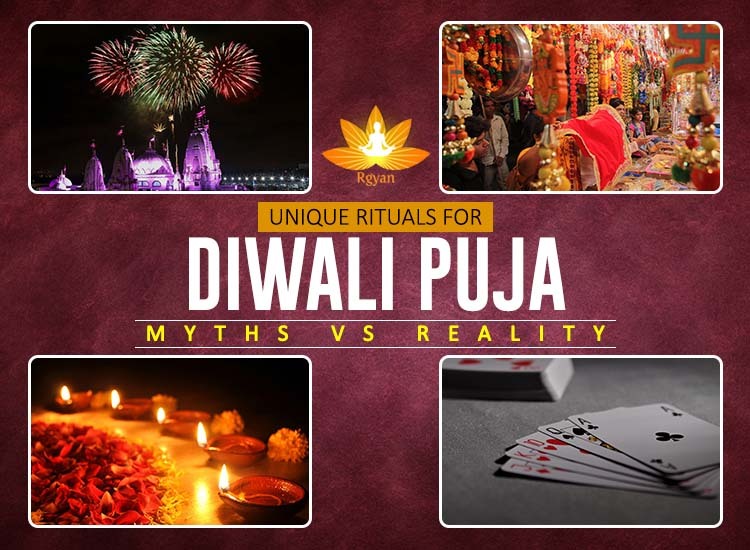 Though, the list is not limited, since Diwali has lot more things to do and it is substantial to know the myths and realities connected to those quirky traditions. Take a look and drop your feedbacks in the comment sections. Myth: Playing Cards during Diwali was originated from a mythology legendary tale that in Hinduism, five pandavas played a dice game along with with their cousins-kauravs and their loving wife-Draupadi. Fortunately, they won over Draupadi on the day of Goverdhan festivity and conquered their 100 cousins in gambling. Hence, it is believed that Goddess Lakshmi rises up and gets evoked as a witness for inspiration with the dice gambling game. Reality: In some regions, there is a bizarre yet fascinating custom of playing cards at the time of Diwali. Enthusiasts take active participation in playing cards on Diwali and try their luck on numerous games such as- rummy, teen patti, poker etc. People engage themselves in these activities on Diwali for fun and enjoyment. 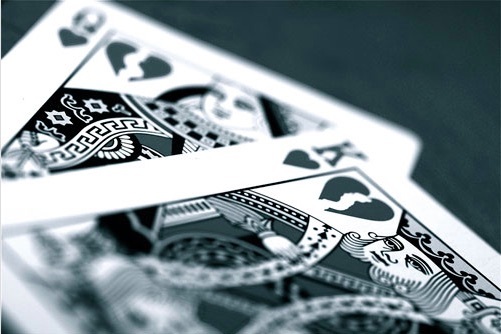 Since, it is considered very propitious playing cards during Diwali. Myth: During Diwali festival, Goddess Lakshmi sets foot inside your house if that would be clean and tidy. She is a Hindu deity of wealth and prosperity and likes to be your guest only when she will find it dirt-freed and polished. Reality: It is very essential to clean your house once in a year at the minimum. Since, Diwali is a six day festivity thus people find Diwali the right time for dusting, painting and white-washing their homes. Hence they remove unnecessary items and excellently embellish them with Diwali decoration for Diwali celebration. Myth: On Diwali Pujan, Diwali earthen lamps (21 diyas) are ignited along with various Diwali lamps decoration to greet and welcome Lord Rama back to his sovereign- Ayodhya after completing 14 years of long exile. Myth: It is a belief that the sound generated from the crackers act as a messenger to gods and proclaims a victory over bad and unholy. 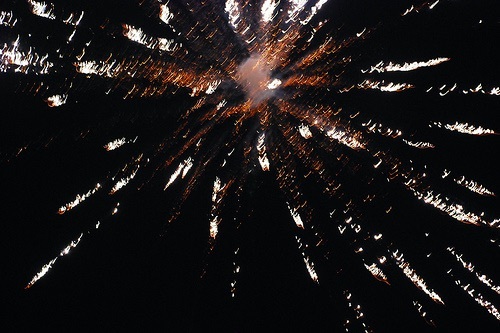 And on account of it, the fireworks grasp the attention of the divinity and listen to their devotees’ prayers. Reality: The gaiety through fireworks and fancy crackers intensify the glittered atmosphere of the Diwali revelry and illuminate the surrounding with the vivid colors and sparks. Though, burning crackers cause pollution and increase contamination into the environment which have harmful and poisonous effects. 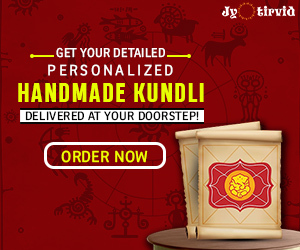 Myth: Worshipping Lord Kuber is the foremost tradition on Dhanteras, people buy gold and silver jewellery and even cooking vessels, utensils and a little silver to impress the deity. Yama- the God of Death is also venerated to avoid the uninvited, early and unwanted death. Reality: Wedding season is almost on its way. People; especially women are curiously waiting to buy jewelleries for the marriage festive season to look absolutely stunning. 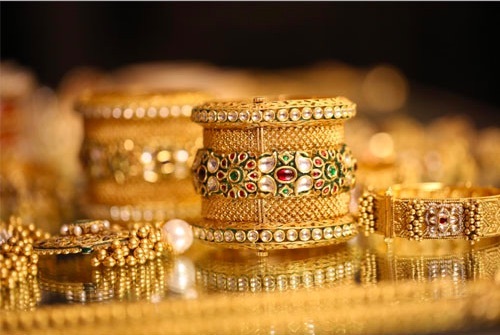 These expensive gold ands silver jewelleries are labelled with unbelievable heavy discounts on Dhanteras and are available at cheaper prices. Myth: To worship the victory of Lord Krishna over Narakasura demon, people make goverdhan mountains/hills with cow-dung to represent the triumph of goodness over devilry. They also arrange a thanksgiving puja to offer prayers for a good harvest. Reality: Harvest festival of India Diwali is celebrated to welcome the warmth of winter season and to convey goodbye to summers. Diwali as harvest festival indicates to consume a lot of foods, sweets and buttery dishes to get prepared for the upcoming winters. 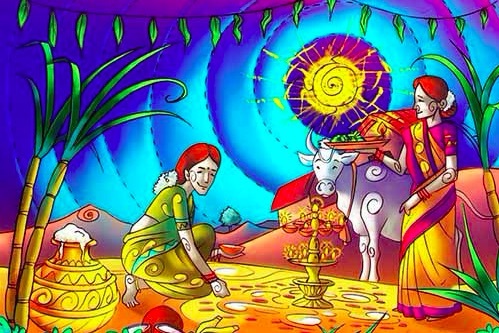 Myth: In some places, it is mandatory to worship domestic animals and pets, especially cows, buffaloes and goats to please deities as it is considered that cows are the sacred manifestation of Goddess Lakshmi. Reality: Domestics are worshipped inside the cattle so to be ensured that they give proper milk as they are regarded to be the foremost source of income and are thus treated as holy divinities. Previous articleDiwali Celebration at Office: We know Work is Boring, Here is what Interesting!